Find a Compere for hire near you in minutes! Option 1. Enter your event location below & contact a Compere directly! Option 2. Request multiple quotes from available Comperes Get Quotes! Option 3. Read information & advice on hiring Comperes Read Advice! WANT TO KNOW MORE ABOUT COMPERES? Read on for the most comprehensive guide to booking a Compere, including how much a Compere costs, exactly what they will do at your event, plus tips, advice and information to help make your event one to remember! With a Compere, you will get a professional voice, respectful introductions and anecdotes galore! What exactly will a Compere do at your event? 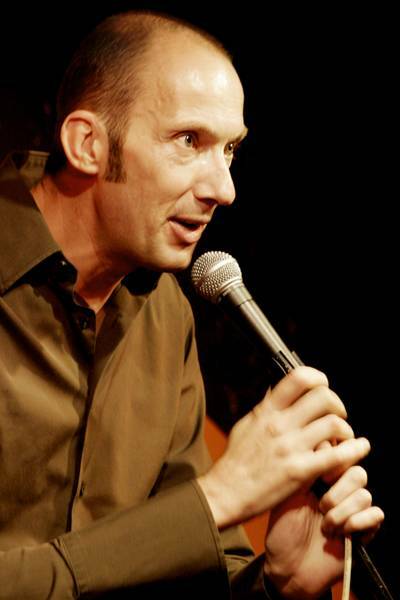 Hire a Compere for your event and you will you not be disappointed! A Compere will engross and captivate the audience all the while linking together the different segments of your show! Whether it’s a wedding, a birthday celebration, an anniversary, a corporate event, an awards ceremony, a comedy night, a gala dinner, or any annual bash that you may be holding, a Compere (sometimes known as the Master of Ceremonies) will shine with their wit and professionalism! If you are looking for a more clean cut, family friendly toastmaster for your celebration, then we have it! Or maybe your are booking entertainment for your business’s annual party and you want to hire an MC who is a little bit more of a risqué performer? Telling spicy stories that’ll have you and your colleague’s in stitches! Well we can sort that out for you too! Mainly, a Compere will entertain your audience with a fantastic live show that will put the wow factor into celebrations and impress your guests, whatever their entertainment tastes may be. What event types are Compere hired for? Leave hosting a wedding to a professional and let a Compere do the job for you! Hire a Compere for your wedding reception and you will get a talented, confident, public speaker who will introduce the bride and groom, welcome in relatives and friends and announce the happenings! breakfast, giving special attention to the bride and groom. They will then announce each speaker as they give speeches, i.e. the father of the bride, the best man. They will then wrap up the wedding breakfast by letting everybody know the wedding breakfast has finished and that it is now time for the wedding evening reception! Let everybody feel comfortable and relaxed by hiring a Compere to speak at your wedding evening reception! The Compere will speak with ease and clarity and can give different anecdotes relating to the bride, the groom, and the wedding guests. They will tell a few jokes in a professional and respectful manner and will then introduce the evening’s entertainent, one by one. comedian and a host all wrapped up into one, then there is no comparison when it comes to a professional Compere! 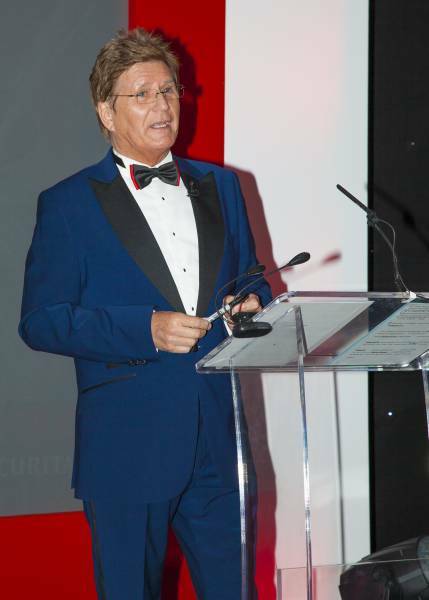 A Compere can speak at your annual business event such as an awards ceremony where they will give the evening’s introduction speech, and then proceed to read each list of nominees for each award. They can announce each winner themselves, or introduce the reader of each winner, which ever way you want to do it! A Compere is a fantastic way of stitching together a summer fate or a fireworks display. They really bring a great atmosphere and a sense of extra fun. They can announce each event on the day, giving the public notifications of times of certain displays and where to be next! They can give out any safety warnings aswell as announcing any lost property. If you want your annual party to come across as a slightly more professional affair this year. thenhire a Compere to put things in order! a Compere will introduce each aspect of the celebration, beginning from the very start of the night! They can welcome every guest, and make an extra special fuss of the person celebrating! Before the occasion, the master of ceremonies may request certain information about the guest of honour, such as witty stories involving them! A toastmaster is a great icebreaker and will introduce each act of the night, whether it's a band, a DJ, or a Juggler! A Compere will ensure everything runs smoothly! How much do Comperes cost to hire? Our simple to use entertainment directory allows you to firstly search for the best Comperes who are local (or travel to your area) and then via the contact form you may message them directly to enquire for a no obligation quote to perform at your event. Some acts will also add a rough price guide to their profile for your convenience. What are the usual set formats and performance lengths for Comperes? A Compere can tailor their performance times to suit you and your event. As hosts of the occasion, they will usually be there from the start until the end! How much space will a Compere need at your event? A public speaker may request a raised stage which will add to their performance, but the stage will not have to be huge, so we suggest dimensions of 3 metres x 3 metres. What equipment and set up requirements do Comperes need? As with most artists who sign up to Entertainersworldwide.com, a Compere will provide all of their own equipment. You may want to enquire if an artist needs a PA to amplify their sound, in which case we would advise to use our easy to use messaging service to find out. We do ask that each performer gets a backstage area in which they can prepare for the performance ahead. If your venue does not have a backstage area, then we kindly ask that you enquire with the venue to seek an alternative space in which the performer can comfortably get ready to entertain. How can you find and book a Compere with Entertainersworldwide.com? WANT TO RECEIVE A RANGE OF QUOTES FROM Comperes?